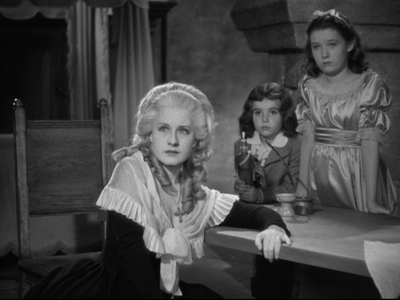 Marie Antoinette (1938) is often touted to be the best movie made about the unfortunate Queen of France. After finally watching it last week, I can see why. Based on the biography by Stefan Zweig, the movie covers the life of Marie Antoinette, from her teen years, when her mother, the Empress Maria Theresa, arranged her marriage to the Dauphin of France, to her death on the guillotine. 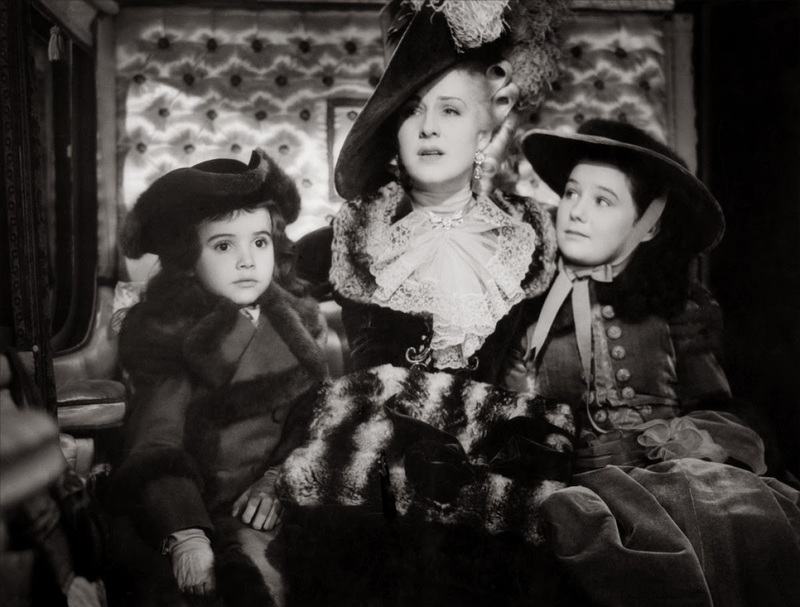 Norma Shearer gave one of her best performances, if not her best, as Marie Antoinette, perfectly capturing the Queen’s charming and lively personality, and her evolution from a young and frivolous teenage girl into a dignified woman and devoted mother and wife. Her relationship with Louis changes over the years too. A painstakingly shy and reserved man, the Dauphin prefers to be alone than spend any time with his wife, who then turns to partying, gambling, and fashion to fill her lonely existence. But slowly, they learn to love and respect each other. Shearer’s face says it all when she watches her husband having dinner with her and their children for the last time before his execution. She’s heartbroken, and so is the viewer, especially when their son asks Louis to fix his little tin soldier for him. The next scene, when just after Louis’ death, their republican jailers come to take her son away from her, is even more harrowing. Marie Antoinette fought like a tiger to prevent it before finally being forced to give in. Shearer’s performance is so moving in this scene and I defy anyone to watch it without shedding even a tiny tear. Marie Antoinette’s relationship with Fersen is, instead, still debated by historians. Here, the two are clearly in love and, when Louis XV decides to annul Marie Antoinette’s marriage to Louis after the young girl insulted his mistress Madame Du Barry, it seems like there could be a chance for them after all. But their hopes are soon dashed when the King dies shortly afterwards. 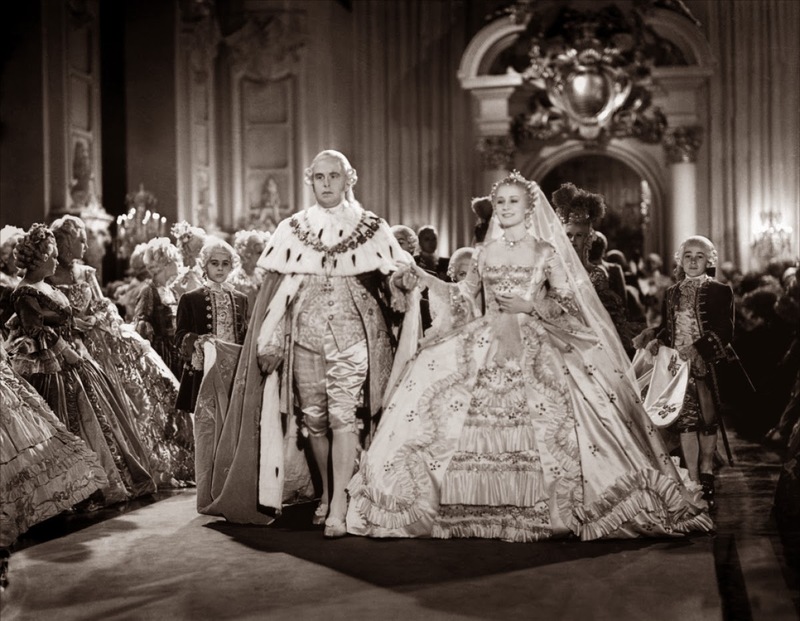 Marie Antoinette is now Queen, and she and Fersen say goodbye. But he never forgets her and, when the revolution breaks out, he comes back to help her and her family escape. The attempt fails, but the two manage to meet one last time just before her execution. That never happened, but it’s a fitting end to their fictional relationship. Usually, inaccuracies in movies irk me, but not here. 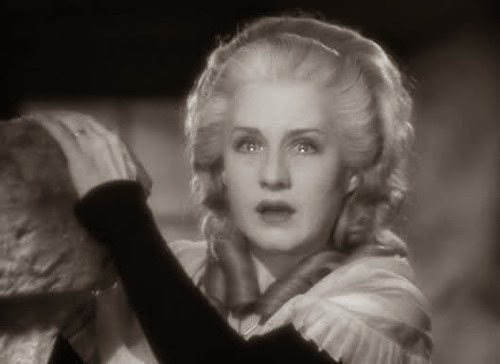 Some events, like the Affair of the Necklace, were summed up in just a few scenes, while others, such as Marie Antoinette’s first meeting with Fersen, re-imagined differently from how they happened. Dates and time-line are not always respected. Characters who played important parts in history are missing or appear only briefly. And yet, I didn’t mind, and not just because a certain amount of artistic license is required in movies. No, it’s because despite all its inaccuracies, the movie manages to be very historically accurate, perfectly capturing the personalities of the characters and the luxurious and decadent world they lived in. And that, being fair to historical figures, who were real people just like us, is the most important thing. The costumes are amazing too. The designer, Adrian, studied Marie Antoinette’s portraits very carefully to be able to accurately recreate her sumptuous and elaborate gowns. 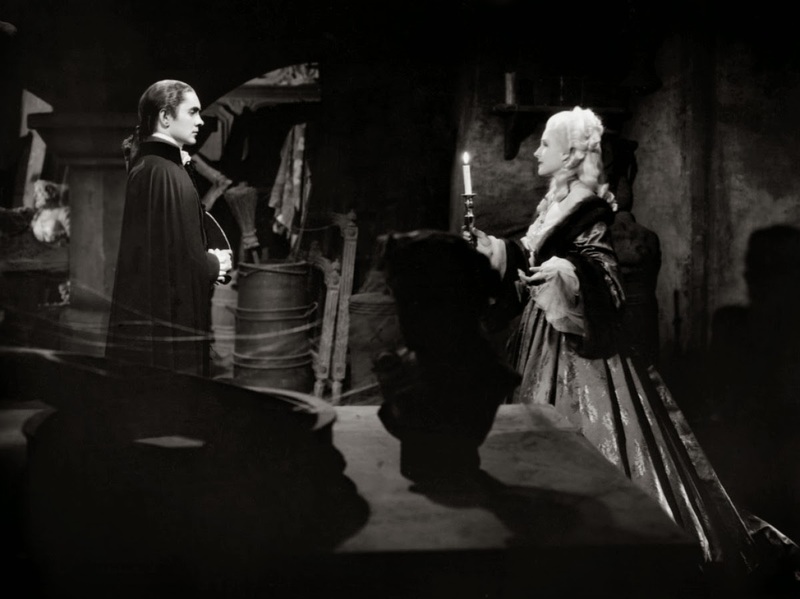 Unfortunately, because the movie ended up costing a lot of money to make, it was decided to shoot in black and white, which doesn’t do the costumes justice. The settings are beautiful too. Part of the movie was filmed on the grounds of Versailles (apparently it was the first time a film crew was allowed that privilege), which only adds more poignancy to the story. 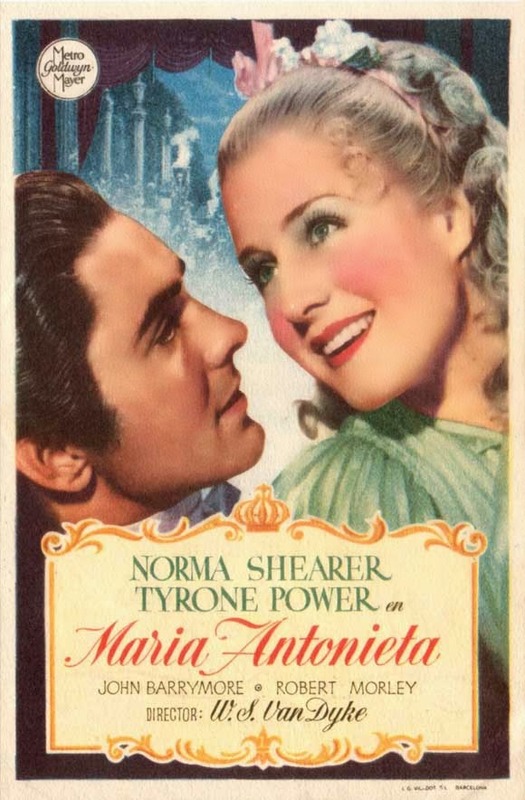 Marie Antoinette is a wonderful, albeit sometimes harrowing, movie that features talented actors (Tyrone Power played the charming Count Axel von Fersen; Robert Morley the shy Louis XVI, while John Barrymore makes the most of his few scenes as the ailing Louis XV), a poignant, mostly historically accurate plot, and marvelous scenery, costumes and music. I highly recommend to anyone interested in Marie Antoinette as well as lovers of epic historical films.